Melbourne's St Kilda Road Boulevard has been at the centre of a flurry of recent development and sales activity. Property funds manager Vanguard Property Investments has purchased an office tower on behalf of giant US private equity firm KKR. The 420 St Kilda Road building was sold for a reported $68.84 million following a strong bidding process. The vendor was Singapore-listed construction and property group Chip Eng Seng. CEL Australia, an offshoot of Chip Eng Seng paid $45 million for the building in 2013. It was marketed by Josh Rutman, Luke Etherington, Kiran Pillai and Neva Courts of CBRE. 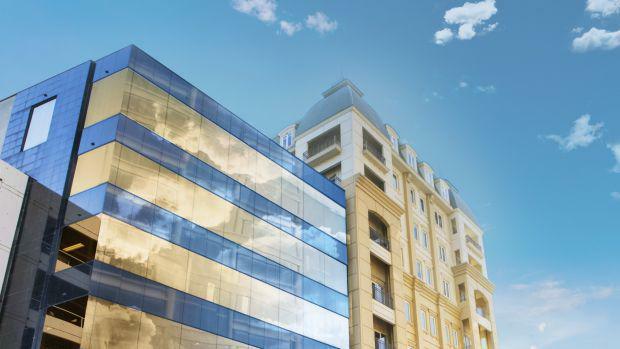 The 10-storey building with a net lettable area of 10,459 sq m sits on a 2286 sq m site. It has three substantial street frontages with highly efficient and flexible floor plates with double basement car parking and prominent ground floor retail. Singapore-based Mapletree Investments recently purchased a $145 million tower at 417 St Kilda Road from an unlisted trust run by Newmark Capital. Another Singaporean group, Rockworth Capital Partners, also bought a 22-storey office building at 390 St Kilda Road for $98 million. 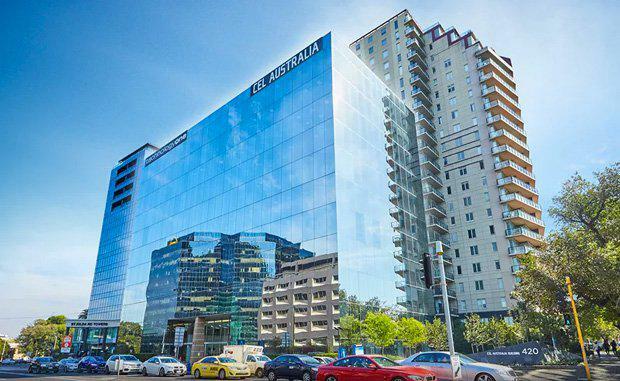 1 Bowen CrescentTaking advantage of peaking demand for the St Kilda Road precinct, Tech entrepreneur Malcolm Freake has released a seven-storey office tower at 1 Bowen Crescent to market. 1 Bowen Crescent features a freestanding office building of approximately 3,700 sq m located just off the intersection of St Kilda Road centrally situated between the Royal Botanic Gardens and Albert Park Lake precincts. The property is 100% leased to the Innovation Group until May 2018. According to Josh Rutman, Director CBRE, the 1 Bowen Crescent tower will attract a sub-$20 million price point. Of the sale Rutman says the precinct is fast becoming the preferred destination for groups looking for a standalone site for their company's headquarters. 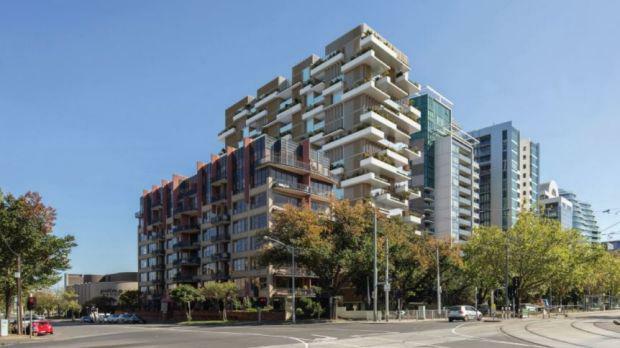 A render of Lian Beng Group's plans for 596 St Kilda RoadSingapore-listed construction and property company Lian Beng Group put the development site it purchased just two years ago for $25 million at 596 St Kilda Road to market in July. The property was marketed by CBRE Melbourne City Sales and Colliers International, with the eventual buyer a Taiwanese-based developer who paid $34 million on an unconditional basis. The price translates to a record-breaking $200,000 per unit and $18,847 per square metre of land, metrics that have not been reached in St Kilda Road to date. Executive Director of Lian Beng Matthew Ong commented that the Group is very satisfied with the sale and that the profits will go towards further investments within Australia. He is emphatic that Lian Beng is not exiting the Australian property market. “We are just recycling capital” Ong said. “With very limited holdings currently on the market, Lian Beng has clearly identified an opportunity, which resulted in a record price being achieved for their holding in St Kilda Road.” Wizel said. Lewis Tong, Director of CBRE Australia’s Asian Services Desk, said “The ongoing activity of some of the established offshore groups here in Melbourne, is giving great confidence to new entrants from mainland China, Malaysia, Singapore and other parts of Asia. We continue to see a great depth and diversity of demand for Melbourne real estate, which presents a great opportunity for owners who are considering the sale of their holdings."